a platform to support research and development of many-agent reinforcement learning. 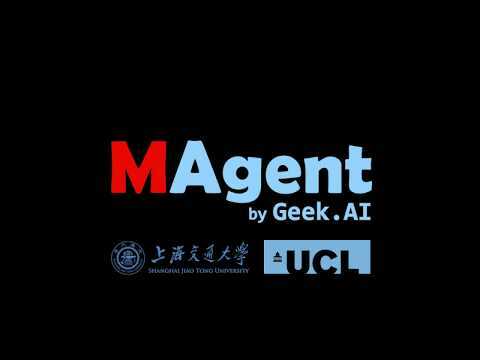 ﻿MAgent is able to host up to one million agents on a single GPU server. It provides environment/agent configurations and a reward description language to enable flexible environment design. Through this platform, Geek.AI has been able to demonstrate emerged collective intelligence by learning from scratch.